Ty Rose has been an accomplished artist for many years, but one of his greatest passions is to help other people express their own creativity in a connecting environment. He loves seeing women, men, and kids create one-of-a-kind artwork that is actually displayed in their home (not just tossed in the garage like many "wine and paint" creations). Thus, Ty's Wood Sign Workshops was born, and we are the first (and currently only) company providing DIY Wood Sign Workshops in Orange County, California. Ty's guided instruction in a fun, relaxed environment ensures that you can say to your family & friends, "I made that!” Bring friends or come alone and meet new friends…it’s all about creating community as you create your decorative sign. Click HERE to see all of our fall signs in the sign gallery! 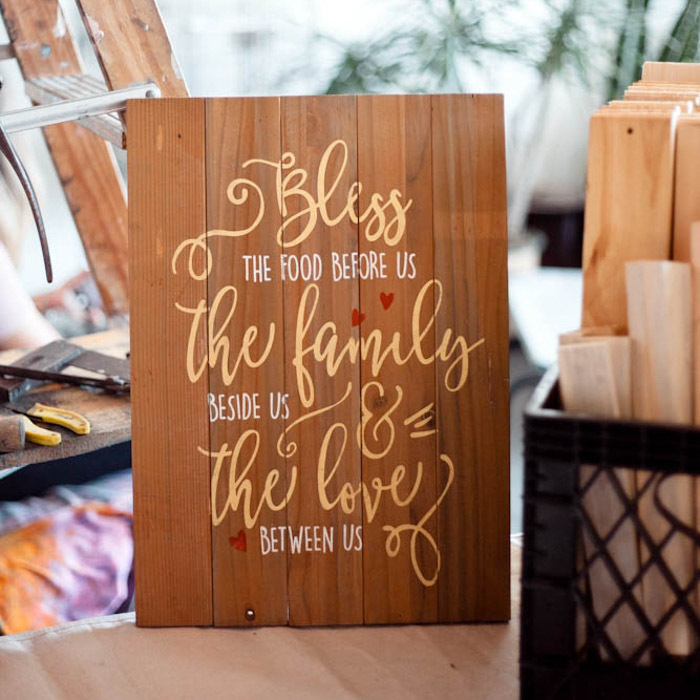 Located at 19th & West Creative, Ty's Wood Sign Workshops are a great way to enjoy being with friends (old or new) while creating a decorative sign you'll be sure to hang in your home or office for years to come. With our user-friendly materials and step by step instruction provided by Ty Rose, you'll enjoy the experience and have a sense of pride in your own creation! Browse our large selection of signs that you can personalize at a workshop. Choose a workshop date that works for you (and your friends). When you arrive, we'll provide you with a custom stencil, distressing & sanding tools along with your choice of stain and paint. You'll enjoy the step by step instruction of Ty Rose, and all your materials are included in the workshop registration fee. “These wood workshops are so fun! Ty is a great instructor and makes the process easy by walking you step by step. The process of creating my sign was just a rewarding as making something great to take home. I would definitely recommend this event for a girls night out, party or any get together."